This is a Multi layers bone and metal statement necklace. 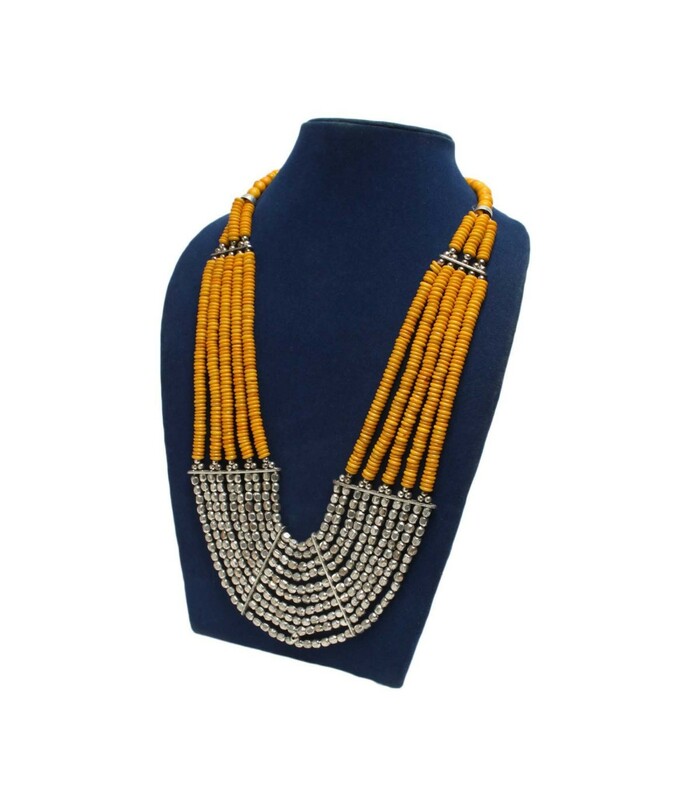 The bone is dyed into a captivating ochre yellow and the combination with metal beads completes the necklace. 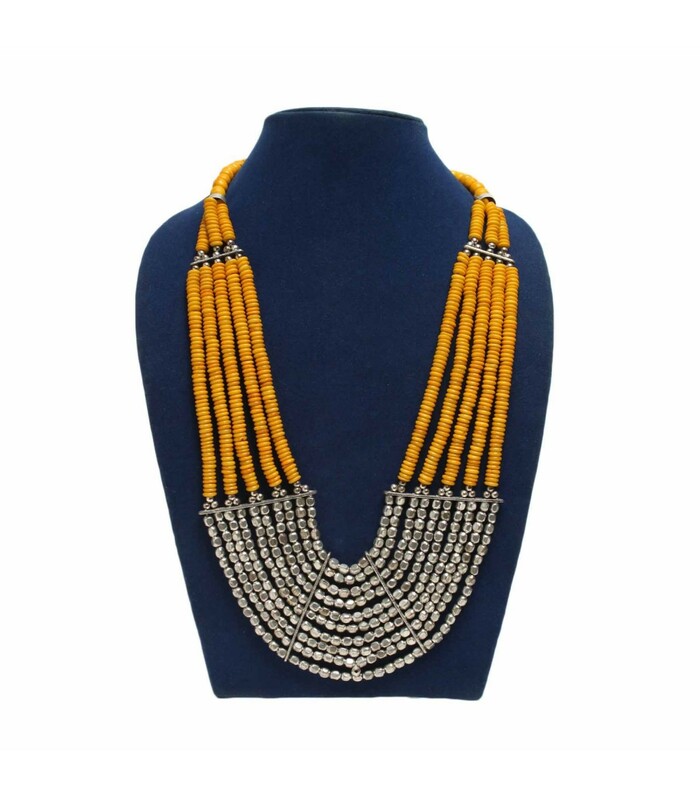 Pair this statement necklace with black turtle or crew neck for vogue look.